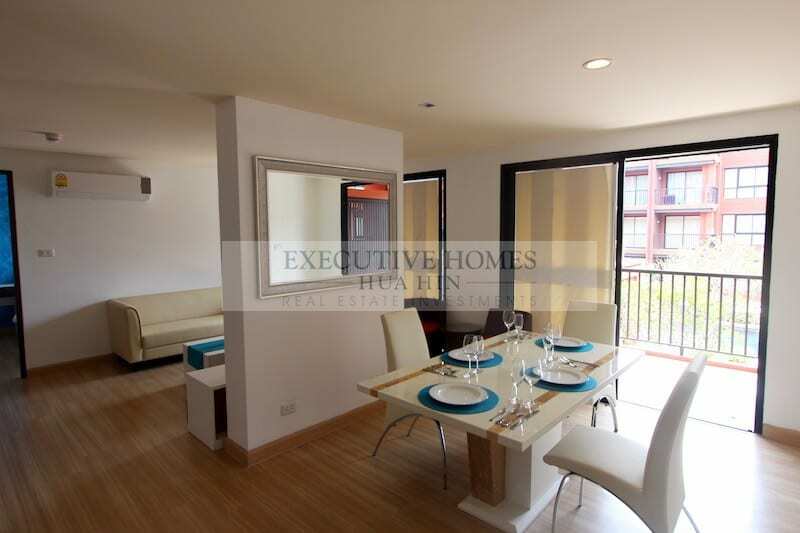 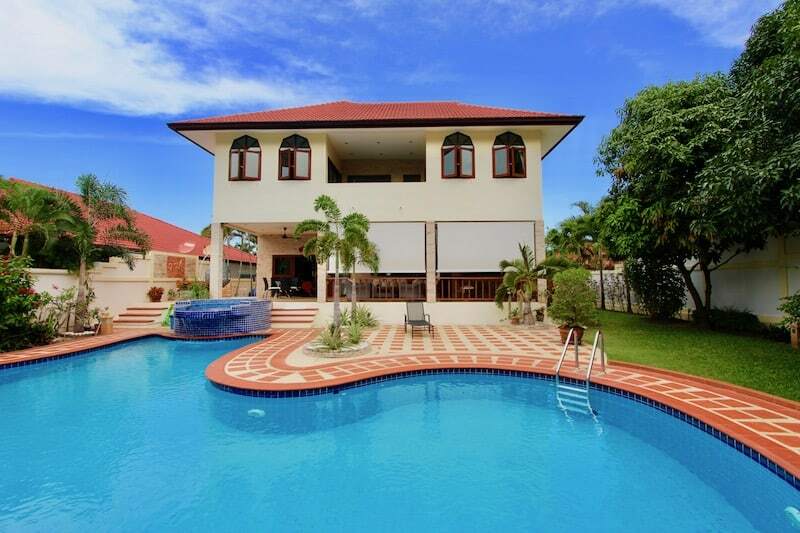 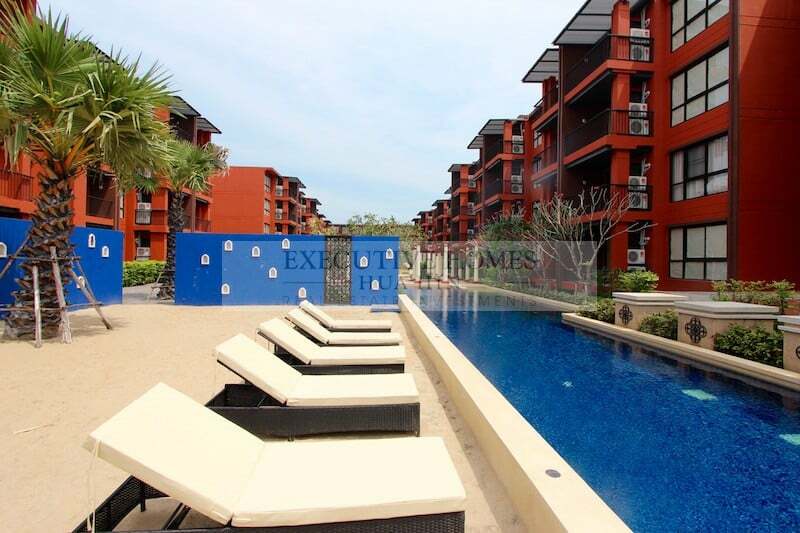 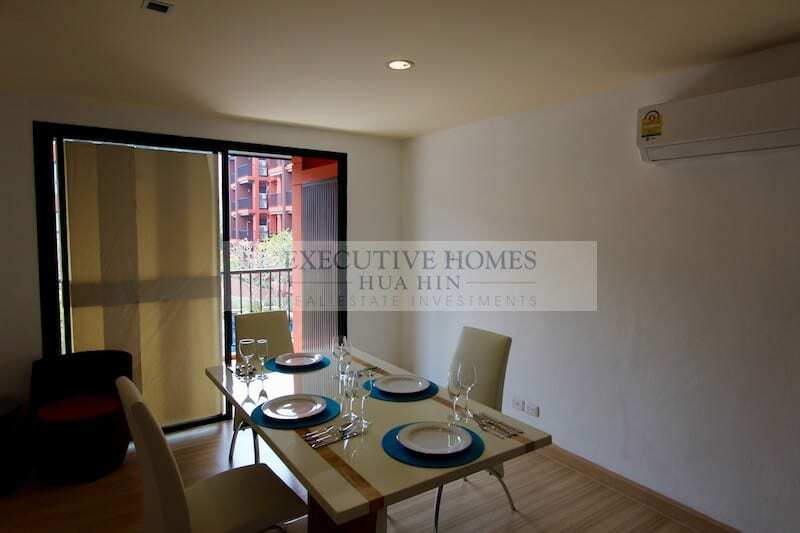 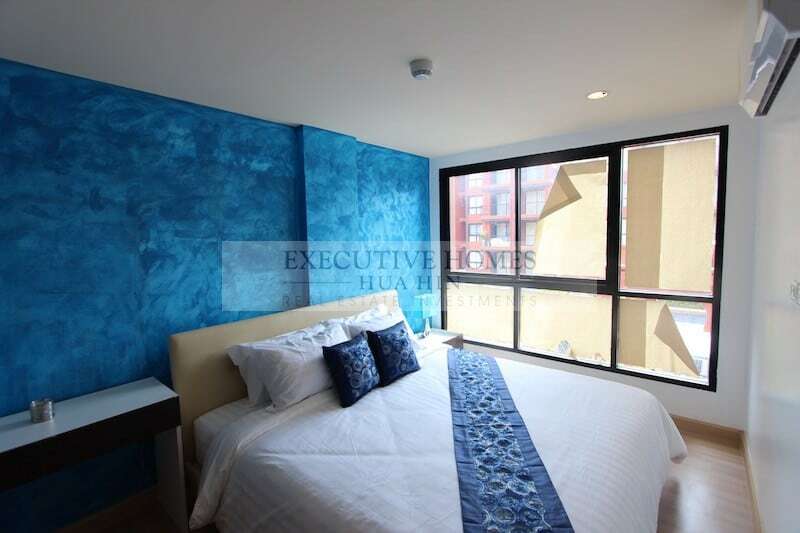 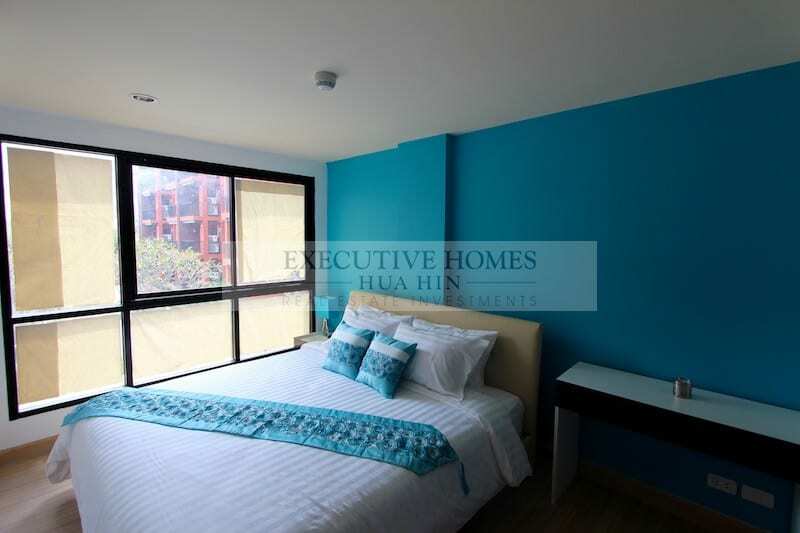 This brand-new, 90 sqm, 2 bedroom, 3 bathroom condo unit is located very close to the beach. 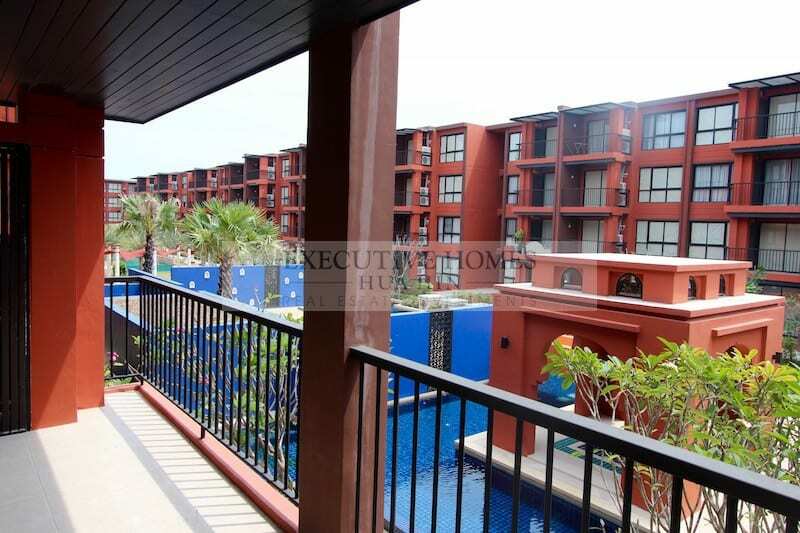 Once can hear the ocean from the condo unit. 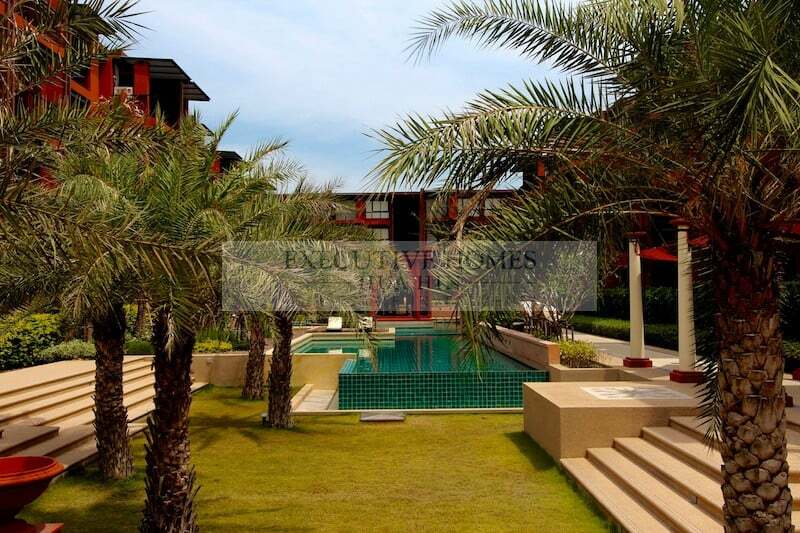 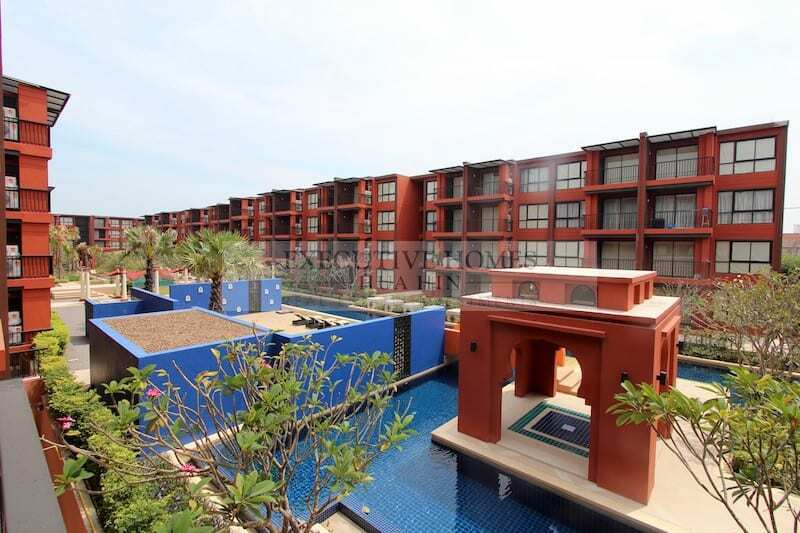 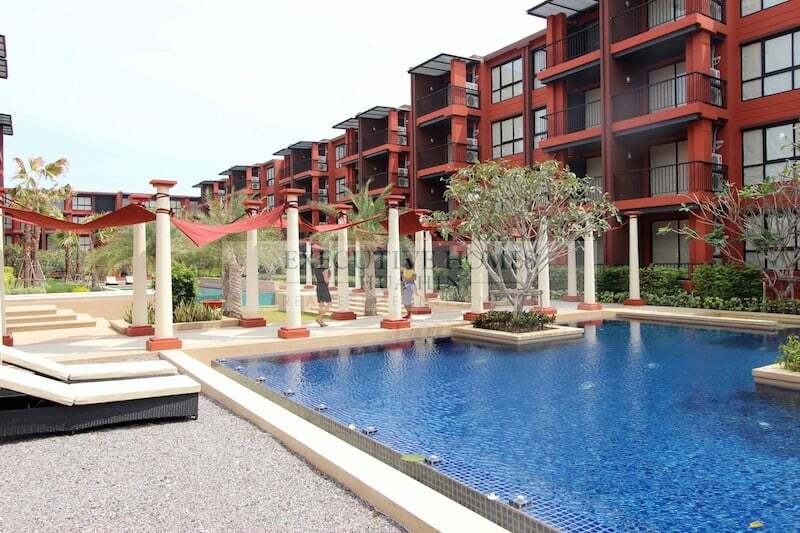 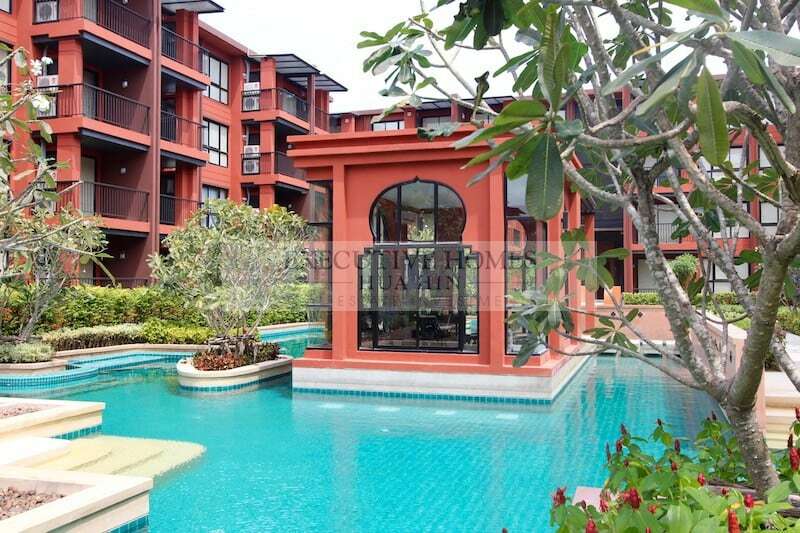 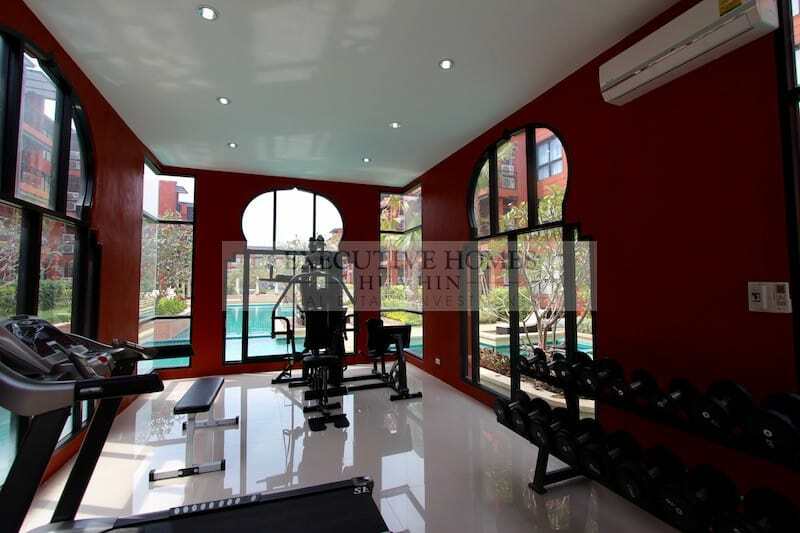 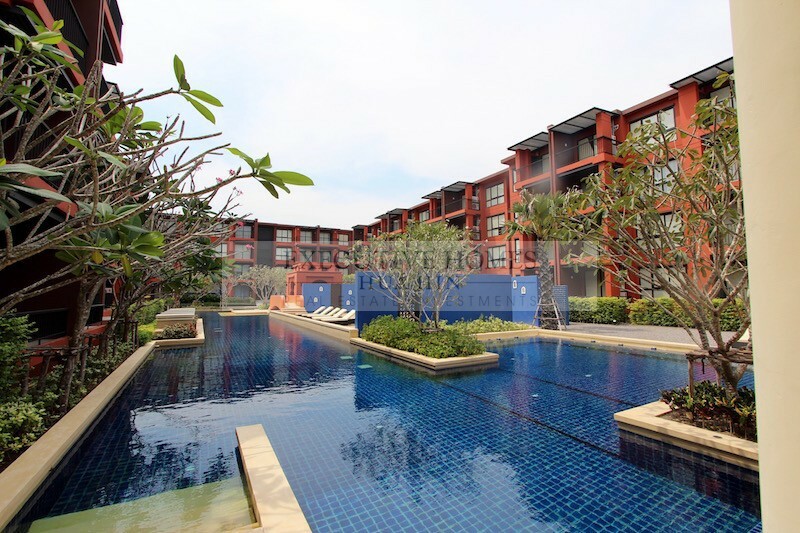 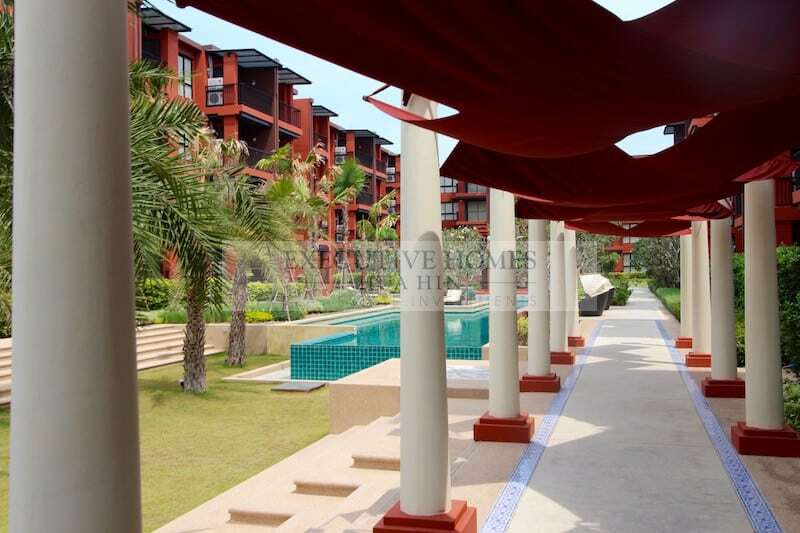 The condo unit has a beautiful view of the large Moroccan themed swimming pool and gardens. 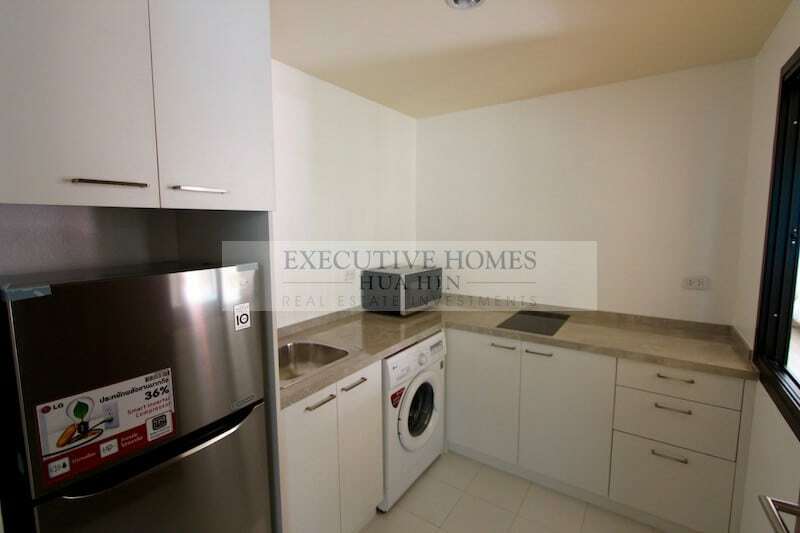 The modern kitchen is large with full appliances (stove, microwave, refrigerator, and cabinetry), and conveniently located to the private, formal dining room. 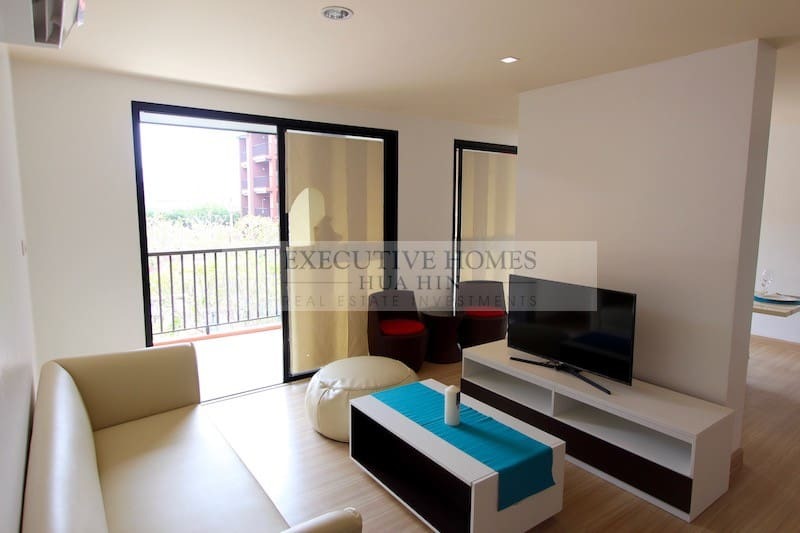 The condo also features a separated family room and two covered terrace balconies. 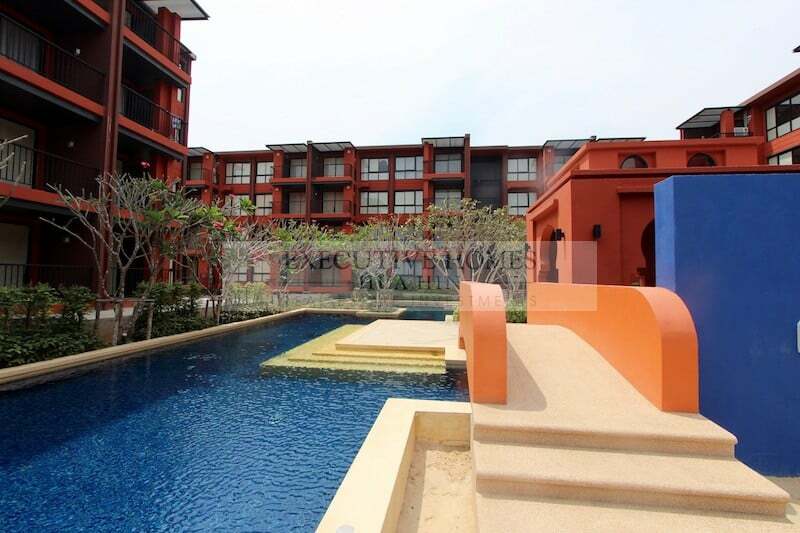 There is a children’s play area and swimming pool, a luxury gym contained within a floating island in the center of the main condo pool area. 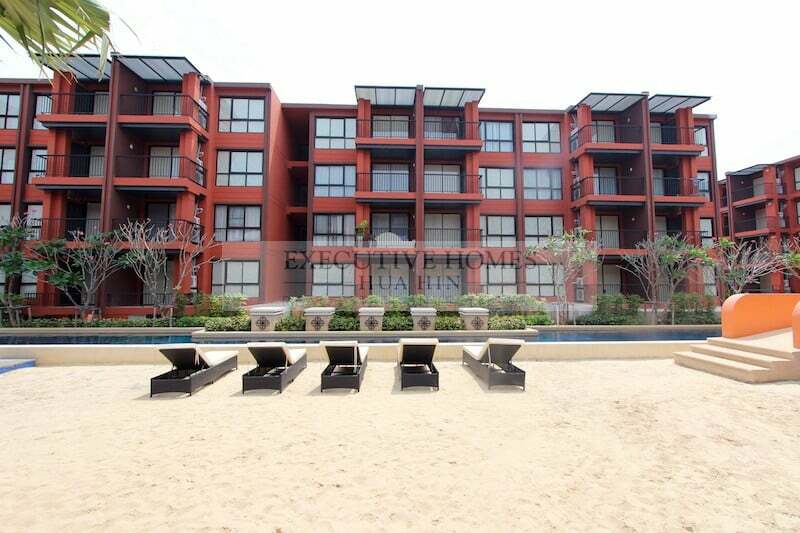 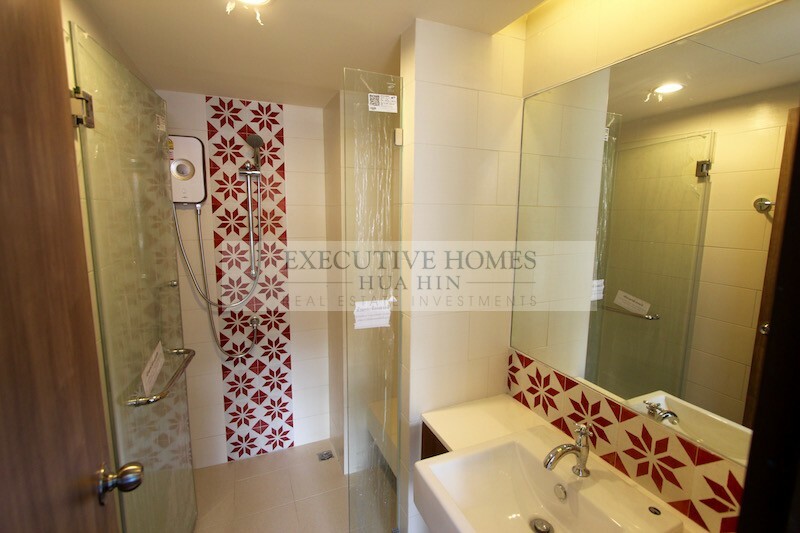 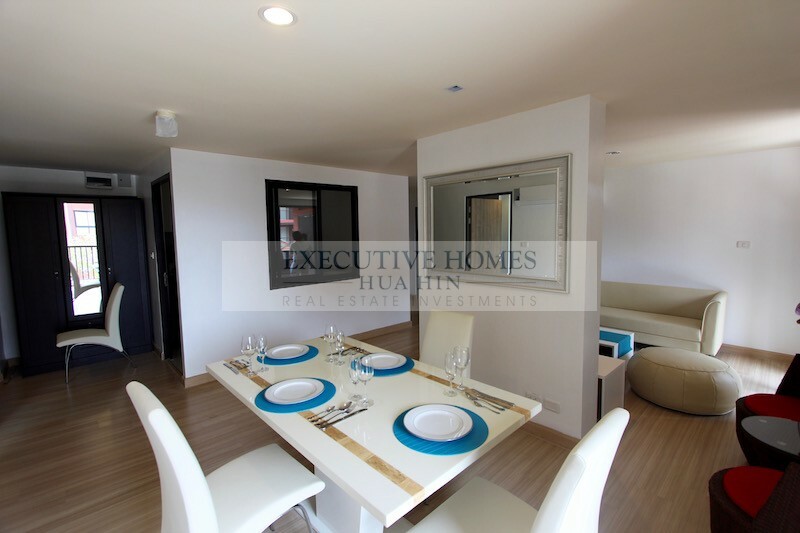 Please call Executive Homes Hua Hin Real Estate Agents at 085-264-2158 to schedule a time to view this excellent condo unit.